Unique workshops for the entire family. For this new edition of Foire de paris, from the 27th of April to the 8th of May 2019, we offer you no less than 50 workshops spread out through 12 days. 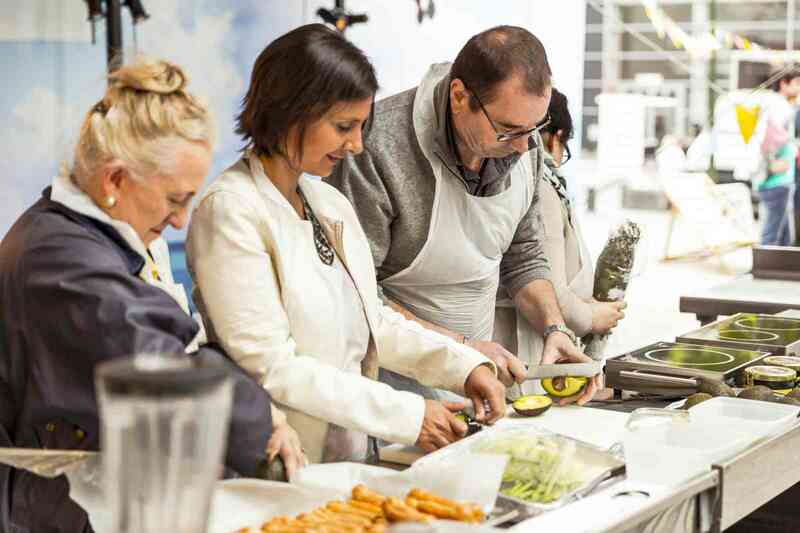 Everyday from 11am, rendezvous at the Cooking Secrets zone in the pavillon 7.1 in order to participate to cooking workshops totally free. Participate for free at this workshops animated by experts and professionals. Register online or on the spot during your visit to Foire de paris 2019. Rendezvous at the pavillon 7.1! On a dedicated zone, chefs and professionals Sur un espace dédié, chefs et professionnels will follow one another in order to to convey their recipes and techniques. "DISCOVER THE BENEFITS OF A HEALTHY & DONE-HOUSE COOKING"
The 1rst of May, the brand KitchenAid offers cooking workshops to make you discover its wide range of household appliance and make you live a unique cooking experience around its 4 passions : pastry, healthy and fresh cuisine, ready meals, the world of breakfast and coffee. Le 5th of May, the brand Tupperware offers the famous workshops "Tupperware" to make you discover its wide range of cooking utensils. 04/05 1:00pm – 1:45pm : Cook without stress, release the pressure! The Valorization of the Agricultural Products Agency (AVPA) is an organization non-governmental with a non-profit purpose, essentially composed of producers and taste lovers. Their objective is to contribute to the best valorisation of the agricultural productions at to the recognition of the excellency producers Leur objectif est de contribuer à la meilleure valorisation des productions agricoles et à la reconnaissance des producteurs d’excellence too often forgotten in front of the imperatives of mass marketing. It is in this spirit that the AVPA, in partnership with Foire de Paris, has set up various workshops. 03/05 1:15pm – 2:15pm : Discovery of the coffee with your 5 senses! 06/05 1:15pm – 2:15pm : Discovery of the coffee with your 5 senses! Bú is born from the meeting between Seb and Sam, two cooking and gastronomy lovers. They aim to give back the nobility letters to this monument of the French cuisine Nous voulons redonner ses lettres de noblesse à ce monument de la cuisine française hitherto confined to the shelves of dehydrated culinary aids. They will bring it up to date, revisit it and enrich it in contact with kitchens elsewhere. Brice Laurent Dubois is a Martiniquan kitchen specialist which is inspired by the Outremer gastronomy. 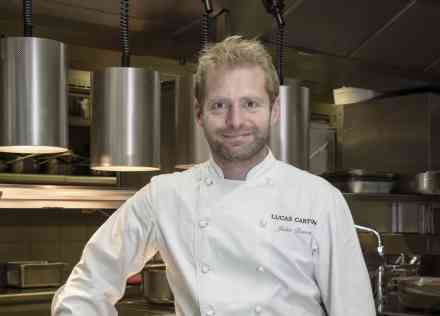 His influences are mixed, from Creole cuisine of yesteryear and French cuisine. 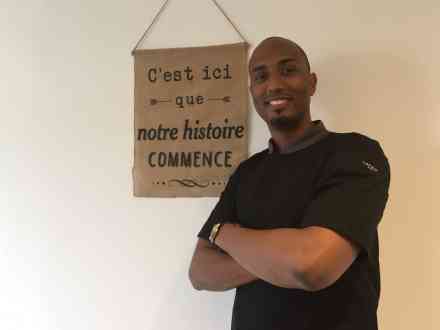 His influences are also plural, both inspired by the "Doudou" and its delicately raised cuisine, renowned chefs and enthusiasts. It is an invitation to the journey of the senses that the Chef offers while tasting his cuisine. Carrés Futés its vegetables squares to cook, 100% naturals. This squares are composed of a majority of vegetables, ce sont Carrés de Légumes à cuisiner, 100% naturels. 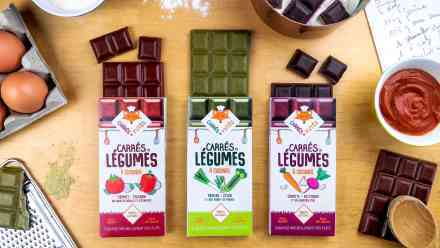 Les carrés sont composés d’une majorité de légumes, some cocoa butter, and that's it! Without flavor enhancer, flavor, added salt, dye, short without additives, Carrés Futés are used grated or melted to bring flavor to daily preparations. A simple, fast, practical and natural use to sublimate its dishes! 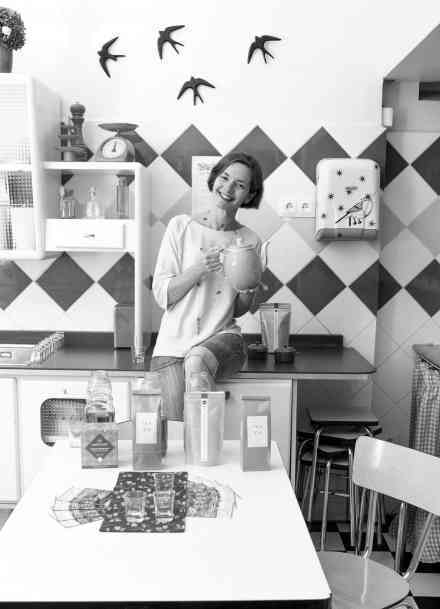 Comète, it is the pioneering brand of organic products, less sweet but equally gourmet for more taste and joie de vivre! Through a workshop dedicated to gourmands (big and small! 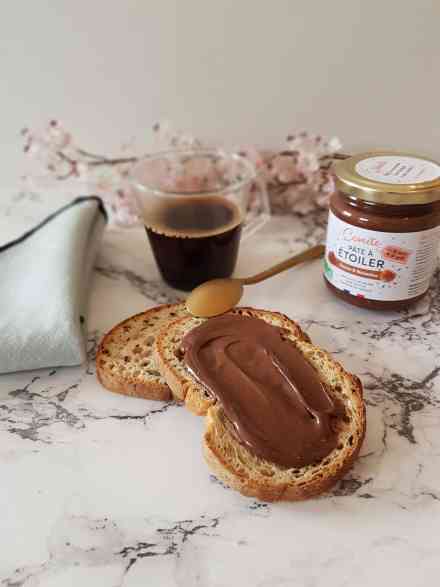 ), discover the Starter's Dough, the first organic spread, cocoa & hazelnuts, without palm oil, made in France and ... less sugary! You will make a delicious starter paste brownie recipe and discover how you can, every day, reduce your sugar consumption. 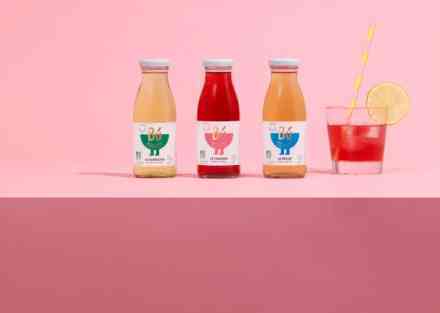 High Five Coffee School is a new school of coffee trades by the acolytes of La Claque Café launched in February 2019. 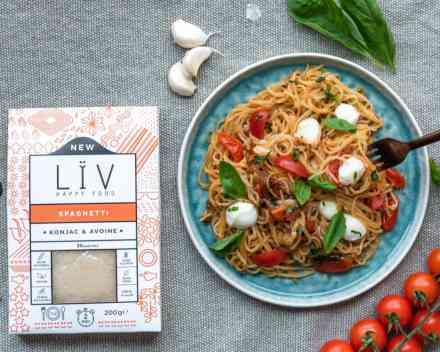 It's ultra healthy, quick to prepare and really good too LÏV it! BALANCING Konjac helps stabilize blood sugar and cholesterol levels. DETOX konjac is the richest natural source of fiber that exists, it captures toxins and helps to eliminate them. It regulates lazy transits and feeds the microorganisms of our gut as it is also a very interesting prebiotic. A kitchen with many faces, men, the product, the wine; passion and transmission for a common purpose: the wine agreement that we think is ideal. The Lucas Carton Table is above all an immersion in two crossed cultures: the product and the wine; as the producer takes the time to cultivate, the chef must exert the passage of witness between him and the customer. The menu evolves according to the seasons, with technical cuisine nourished with exotic influences. Closer still to the nature and the product, the chef Julien Dumas starts a new and beautiful page of history. This creative and passionate young chef invites us on a sensational trip to the heart of gastronomy. La Marocaine de Paris is invited on Foire de Paris 2019 with conviviality and sharing pleasure. Their ambition is to surprise and offer their guests moments of unforgettable culinary discoveries. At Max de Génie, the mission is to allow all gourmands to have fun without affecting their health! How? By offering a range of 6 organic low-glycemic pastry mixes (chocolate fondant, pancakes, cookies, muffins ...) that will allow you to make, in less than 5 minutes of preparation, gourmet delicacies with 75% sugar in less than traditional pastries and naturally 50% more fiber and protein. All this 100% natural! 28/04 11:00am – 12:30pm : Eat healthy and have fun: Draw your Easter Pancake with Max de Génie! 03/05 3:00pm – 4:00pm : Eat healthy and have fun: Draw your Easter Pancake with Max de Génie! Fight against food waste by guiding the consumer to cook the remains of his fridge and manage his expiry dates with ease ... This is the challenge that Isaure and Dorothée with their application Save Eat, free and available on Iphone and Android. 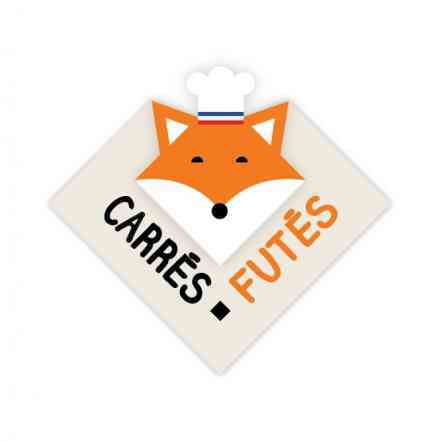 In parallel, the founders organize anti-waste cooking workshops to educate consumers about food waste and teach them, for example, how to cook the tops of their vegetables..
Save Eat offers you to meet its founders, Isaure and Dorothée, the time of a workshop to learn how to easily transform your leftovers and not to throw, but also to impress your loved ones! Simple tips and guaranteed treat, to reproduce without moderation at home! Time of sharing and tasting following the workshop. House of exceptional meats and masterpieces of the kitchen garden, Les Tantes Jeanne restaurant is a French cuisine table, located on the heights of the Montmartre hill. In a chic and cozy setting, Chef Octave Kasakolu and his wife Laetitia invite their guests to an unforgettable culinary experience. With products of quality, Les Tantes Jeanne likes to initiate good cuisines lovers and make them discover rare dishes. The exceptional meats are their signature, such as the famous Kobe beef or Wagyu beef that the chef accompanies with wonders of the kitchen garden. 30/04 11:00am – 12:30pm : Earth and sea!